As we had ‘let’ children do what they felt like that is what all the children were doing. Some were playing, some were drawing, some were reading etc. One child was drawing in a drawing book and after few minutes another child came in and started drawing along with her and then yet another child joined and also started drawing in the same drawing. And in few minutes the one who started the drawing left and the other two continued. We learned several lessons from that event. 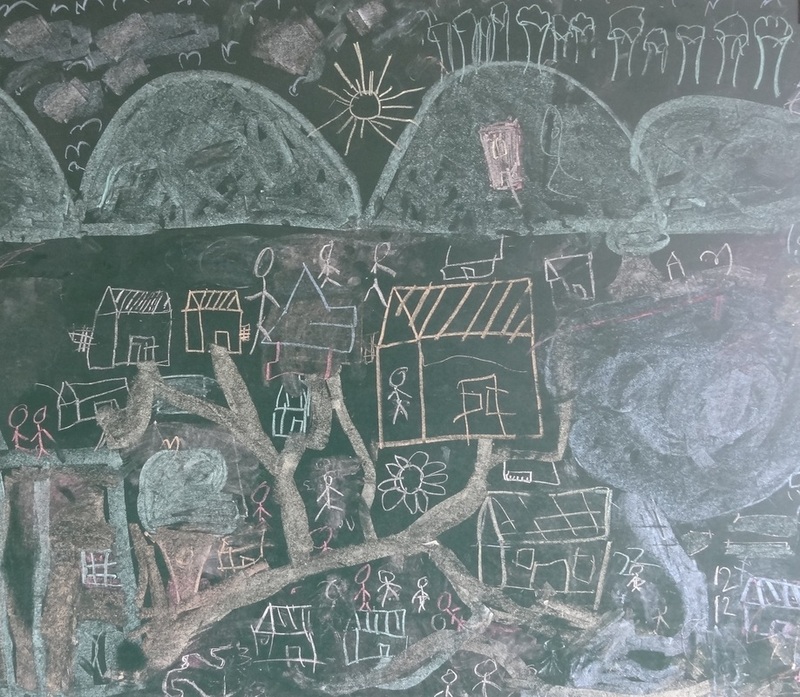 Foremost is that children by nature are co- operative, are not possessive about ‘their’ drawing, is able to accommodate others, one can also draw upside down (that is what the second girl was doing because she sat on the opposite side of the first child). Respect for autonomy is evident from the fact there was no objection either to join the drawing or to leave. May be ‘self- expression’ is yet another invention of the adults. They were least bothers about any ones approval and individual ownership. They were not keen to put them up on the notice board and even having their names written on the drawing. I wonder then how do we end up becoming so possessive, individualistic (my personal space) and selfish. Being here and now was what mattered to children. They were fully involved in the act yet detached. We also noticed that children were drawing anywhere and everywhere and was using anything they could find. 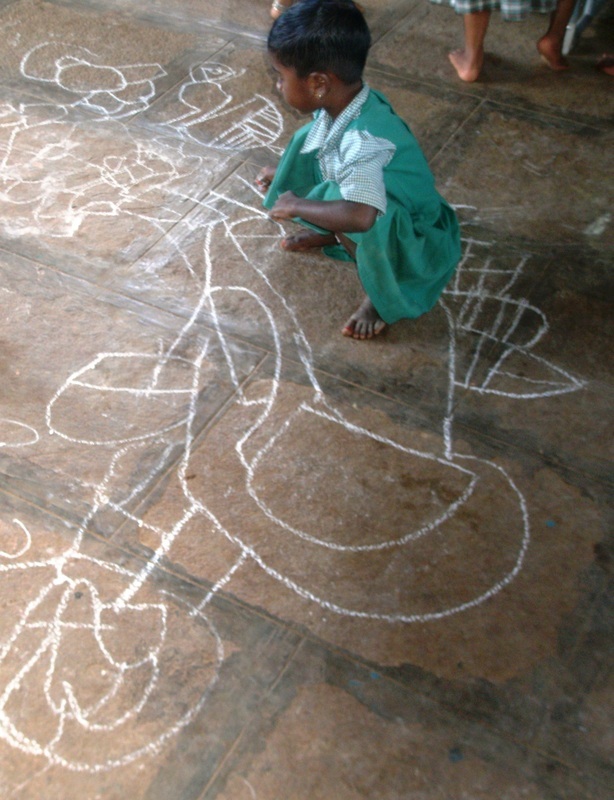 They were drawing on the floor, wall, ground, table, slate, paper even on water and were using their own finger, chalk, stick, pencil, paint, water, powder made by crushing chalk or the readymade colour used for doing rangoli etc. So we consciously began to make several changes to the ‘class room’ and to our rigid minds. 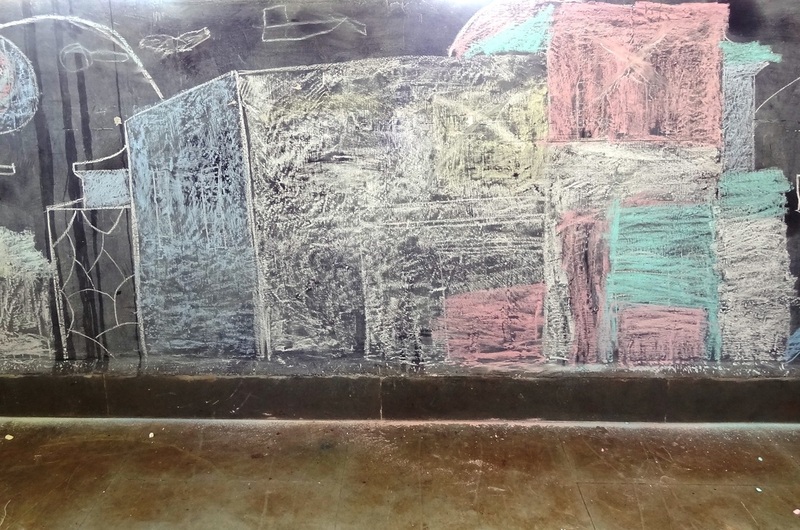 We replaced the black board and painted lower half of the walls black and this enabled children to draw large pictures. Children were any way using the ground for drawing and hence the black board also found place on the ground. That act was a symbolic act of removal of authority from our school. As we did not have rigid periods and time table children were having opportunity for total freedom, self- initiative and autonomy. One this is clear that children know clearly what they are drawing and there is always a concrete topic/ subject that they draw. They will tell you clearly what they are drawing. One day we saw two children were moving around and drawing on the floor, all over the class. They were telling other children that they are drawing water flowing from the water tap. Yet another incident was of a girl sitting on the floor and drawing with a chalk on the floor. As she was drawing a big picture she was using her both hands. Even though she was using her right hand most of the time when the drawing went over to the left side she would immediately use her left hand. One day children were out in the farm and drawing plants. One boy caught the shadow of a chilly plant on his blak page and claimed that also as a drawing. 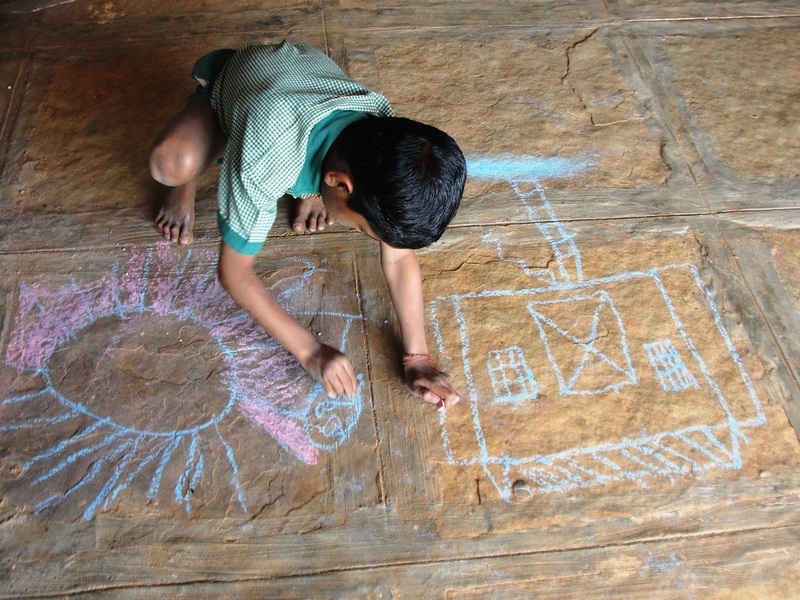 As we there were no rules and boundaries children were constantly surprising us with all kinds of drawings. It is so natural for children to be spontaneous and inventive and it surprises us who have been educated out of it. One realizes how we have been damaging their natural tendency for cooperation by forcing them to obey our rules. After all we are also victims! The point is can we recover some of what we have lost be being with children openly and sensitively?